The fourth series of Inside No. 9, which broadcast at the start of January, certainly lived up to past instalments. The anthology series (created by Reece Shearsmith and Steve Pemberton) dabbled in Shakespearean comedy, dark and twisted mystery and heart-breaking trips down memory lane. On Halloween, a special ‘live’ episode aired, which was a half hour of comedy that certainly divided its viewers (that is, those who didn’t accidentally tune out before the end…). Another stand-out programme that no doubt every fan of dark comedy has watched this year is The End of the F****** World, which originally aired on Channel 4 in 2017 but was released on Netflix in January 2018. With short twenty-minute episodes, vibrant characters and unexpected plot developments, this series is a punchy rollercoaster unlike anything else. With a new series expected later this year, this is certainly not the last we will hear from murderous teens James and Alyssa. February saw the return of This Country; one of the greatest new comedies of recent years. This mockumentary series about the lives of teenagers in rural areas has plenty unbearable moments of awkwardness that rival Ricky Gervais’ The Office. But the message is a rather sad one; these teenagers are limited in opportunity and experience. But Kerry and Kurtan (played by siblings, and writers of the show, Daisy May and Charlie Cooper) are, unsurprisingly, the stars of the show. Their childishness, pettiness and naivety is what makes This Country a stand out. The dialogue is always unexpected, which brings the hilarity, but all the while the message behind the humour really packs a punch. Flowers is a truly beautiful tragic comedy. it picks up on family rifts, personal anxieties and implications brought about by mental health issues, alluding to them incredibly subtly in the characters’ actions and words. Series two, which aired in June, showed each character’s gradual demise to be looming ever nearer, often making for an uncomfortable watch (especially when our concern changes focus and hones in on Shun, who is struggling to come to terms with the loneliness he faces in this strange, foreign place). Flowers features stunning comic performances from Olivia Colman, Julian Barratt and Will Sharpe (who also writes and directs). In July, Bob Mortimer and Paul Whitehouse brought us the hilarious and wholesome Gone Fishing; a documentary series for BBC2 about the beauty of natural wildlife and the importance of looking after our health. The two legendary comics (both now bordering on 60) have had their fair share of health scares in recent years, with both having experienced major heart problems that gave them a bit of a re-awakening. Mortimer and Whitehouse are clearly great friends and their shared humour makes this programme a thoroughly enjoyable watch. And who could miss the return of Vic and Bob in Vic and Bob’s Big Night Out at Christmas? This revamp of Reeve’s old show format is exactly what we would expect from the absurd duo, with the addition of some up-to-date satirical references (featuring the likes of Piers Morgan and Donald Trump), as well as a visit from George Ezra. But some old favourites are back, including Graham Lister, The Man With The Stick and The Stotts. So now that we’re comfortably into the flow of a new year, we can really start to look forward to what’s to come in terms of comedy on our TV sets (or laptops, or smartphones, or tablets, or microwaves). In 2019 we will be treated to new instalments of Inside No. 9, The End of the F****** World, This Country and Gone Fishing. Other returning programmes include a final series of Rob Delaney and Sharon Horgan’s Catastrophe as well as a TV series of vampire mockumentary film What We Do in the Shadows. But for now, perhaps a re-watch of some of the programmes above from 2018 will help fight the January blues. A murder takes place on the Isle of Man, a place where serious crime is not a frequent occurrence. But what is most surprising is that MI5 Special Operative Bruce Mindhorn is called in to help. The catch? Mindhorn is a detective from a 1980s British TV show. Richard Thorncroft (Julian Barratt) used to play Mindhorn way back in his heyday. The world has since forgotten him, except maybe one vulnerable individual, played by Russell Tovey, going by the name of the Kestrel. The plot is ridiculous, and so are the film’s protagonists. Barratt is expressive and physical in his portrayal of Thorncroft. A man with an apparently blasé approach to danger, he blurs the line between superhero and average Joe. Richard Thorncroft is a man who used to be something but no longer is, and it’s this foolishness and ludicrous self-denial that makes his character so appealing. There is a vulnerability to him that endears us. He is simultaneously self-conscious and unashamed. Simon Farnaby, as well as co-writing the film with Barratt, plays Thorncroft’s Dutch ex-stunt double and rival. Now in a relationship with Thorncroft’s ex-wife, it is understandable that these two don’t get on. Barratt and Farnaby feed off each other’s energy; they have always worked well together on screen. And the addition of Tovey is a wise decision. The childlike innocence of this Mindhorn-enthusiast combined with that trademark cheeky glint in Tovey’s eye makes for some brilliant moments of contrast between himself and our protagonist. He is the only character, it seems, who takes Thorncroft/Mindhorn seriously. His ex, Patricia (Essie Davis) and former Mindhorn sidekick Peter Eastman (Steve Coogan), definitely do not appear to attribute much credibility to Thorncroft, and rightly so. 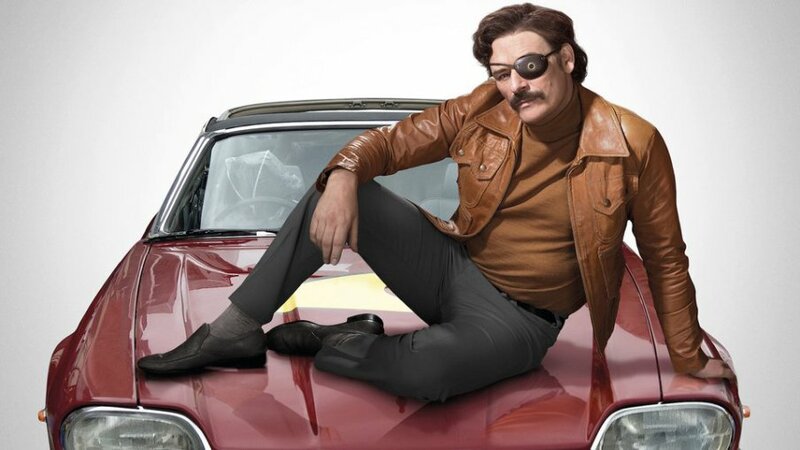 The Isle of Man has moved on without him, but maybe it is finally time for Mindhorn to return to the public eye. Mindhorn is an incredibly quotable film, and one that groups of people seem to enjoy talking about a great deal. And most importantly, it is devilishly funny. This film is packed full of idiosyncrasies and though we may feel as though we have seen enough films about celebrity has-beens in recent years (think Alpha Papa, Absolutely Fabulous: The Movie), Mindhorn is certainly not a slave to stereotype. If there ever was a sitcom that could bring about feelings of discomfort and sorrow whilst also being oddly life-affirming, it is Flowers. Starring Julian Barratt and Olivia Colman as the leads, Flowers is a story of a disjointed and deeply unhappy family; each person within it acting and speaking with the best of intentions but possessing an inability to communicate their innermost thoughts and feelings. Flowers is the artistic creation of 29-year-old Will Sharpe, who wrote and directed the series as well as playing the character of Shun, a young and enthusiastic Japanese artist who lives with the Flowers family and works for Maurice (Barratt). Deborah (Colman) and Maurice are a likeable but floundering pair, desperately trying to cling to each other as all manner of chaotic events and disruptive people threaten to reap havoc with their personal lives. The subject matter of Flowers is morbid, the series begins with a suicide attempt, but the production is aesthetically dark also, along with a delightfully jarring score. With a rapidly developing narrative, yet still managing to capture a meandering, morose tone, as well as nurturing a fondness for each individual character as we learn more of their backgrounds and aspirations. Sophia Di Martino and Daniel Rigby (Big School, Undercover) effortlessly capture the mannerisms of, and tensions between, bickering twins Amy and Donald, who are 25 and still live at home. This dynamic is explored thoroughly but sensitively; yet another example of idiosyncrasy in the production, successfully avoiding lazy or over-generalised observations regarding how siblings interact with one another, and how the ‘children’ fit within the wider family. Maurice’s narrated excerpts from his Mr Grubb children’s novels add further sinister element to the overall production, with these readings from the struggling children’s writer giving Flowers a hint of The Babadook about it. It seems to be rather wasteful for the entire series to have been broadcast over the course of one week, though this is perhaps an indicator of the changing habits of British television-viewers. This does, however, make it easier for eager viewers to binge-watch the series in one sitting and then step outside three hours later, blinking into the light and exhaling that breath they’d been holding since episode two. It’s quite some feat, considering the magnitude of this cast, that the stand-out performance for me is that of Sharpe himself, particularly as his role develops from that of a jester to an emotional reconciler as events dramatically unfold. In an interview with The British Comedy Guide, Sharpe sums up his artistic aims with the project: “The show is about melancholy and family, and it’s about people feeling trapped or alone. It’s also about how your own state of mind can affect those around you.” Here is a prime example of a case where a distinct creative vision has been successfully defined and then translated into a stunning piece that seems to encapsulate everything it intended to, whilst also alluding to more. This melancholic masterpiece is hands down the most spectacular piece of television I have ever seen. Flowers broke my heart and then fixed it again. Summary: Another mist has appeared over Darkplace but this time, it’s green! On this occasion, it gets through the air vents and the result is a young woman named Linda getting infected and turning into cosmic broccoli (of course). Unfortunately for Sanchez, he falls in love with Linda, who is now terminally ill, and this even results in him contracting the broccoli disease (much like an STD) and has to have emergency surgery. This episode is not only a commentary on the issues of AIDs in the world, but is also a story of love and loss. What Else? More new music is played in this episode such as Matt Berry’s song: One Track Lover which features some wonderful rapping from Thornton Reed. Somehow, the tapes that contained a part of the programme have been destroyed (under mysterious circumstances) which means that these must be explained through the use of photos of the events and a commentary from Dagless. There is also a brilliant and entirely not un-realistic fight scene between Dag and Sanchez. Familiar Faces: Julian Barratt appears for a third and final time as the priest. We also see Graham Linehan as a member of hospital staff and Kim Noble as a barman (as well as his usual role of Doctor Jim). So, that is the end of my revisit to Garth Marenghi’s Darkplace. I hope you enjoyed reading about them and maybe hearing about them for the first time (or just remembering how much you loved the show in the first place!). What Else? In this episode we get insight into Dagless’ presence in the hospital, and let’s just say, you can definitely tell that Garth Marenghi wrote the episodes because everyone on the ward seems to think Dagless is the best doctor that ever walked the Earth. 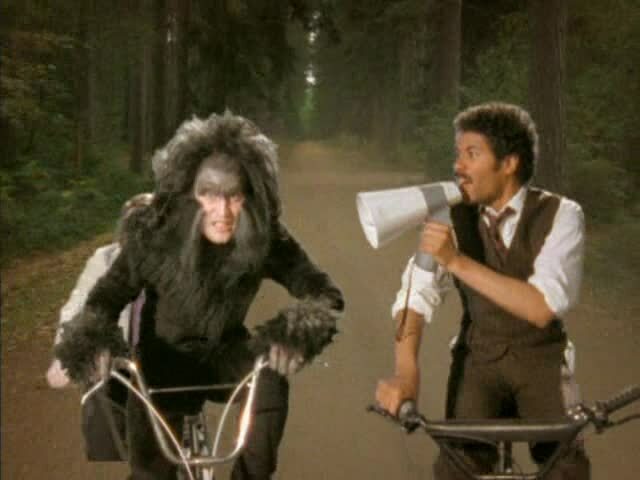 The fact that nobody could work out what was causing the ape transformations highlights the stupidity of the characters at Darkplace, and makes the experience all the more hilarious for the audience. The secret also comes out that since filming Darkplace, Madeleine Wool, who plays Liz Asher, has disappeared and is presumed dead. Familiar Faces: Julian Barratt returns as the (slightly evil) priest and we see Noel Fielding as a criminal ape. What Else? It’s hard to express how hilarious this episode is in words because the true skill is in the performance. The combination of the deliberately terrible acting and pathetically poor props (such as fake cars) makes for very funny viewing. There is frequent use of extreme gore that is not for the faint-hearted but is obviously not real, along with absolutely ridiculous plot devices, such as an exploded man being buried with his body intact and a controversial amount of sexism (yet again, not designed to be taken seriously). Familiar Faces: Julian Barratt plays the very Howard Moon-like priest and Kim Noble appears as doctor Jim.